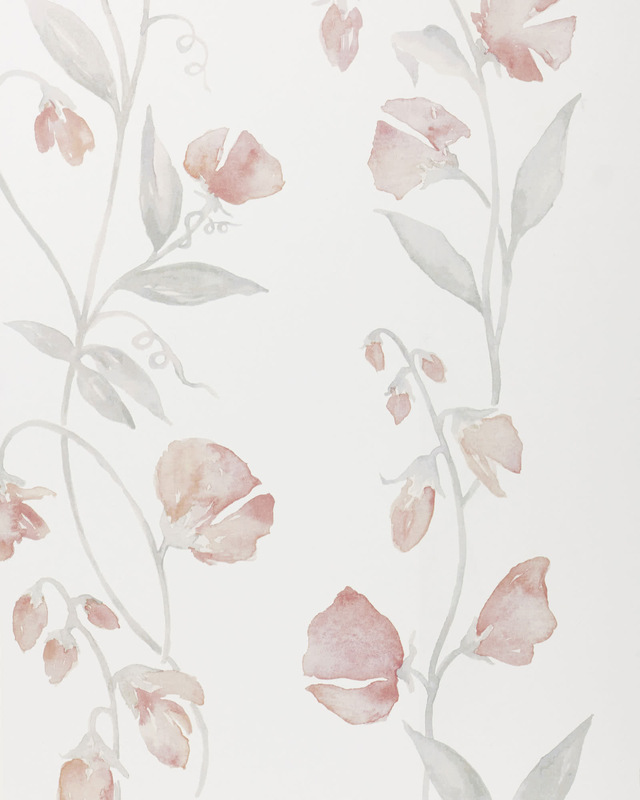 Sweet Pea WallpaperSweet Pea Wallpaper, alt="Sweet Pea Wallpaper, "
Print Our take on a feminine floral, the dusty pink and soft shade of grey make this lyrical without being saccharine. We love the painterly effect from stem to petal and the white backdrop keeps it fresh, light, and bright. 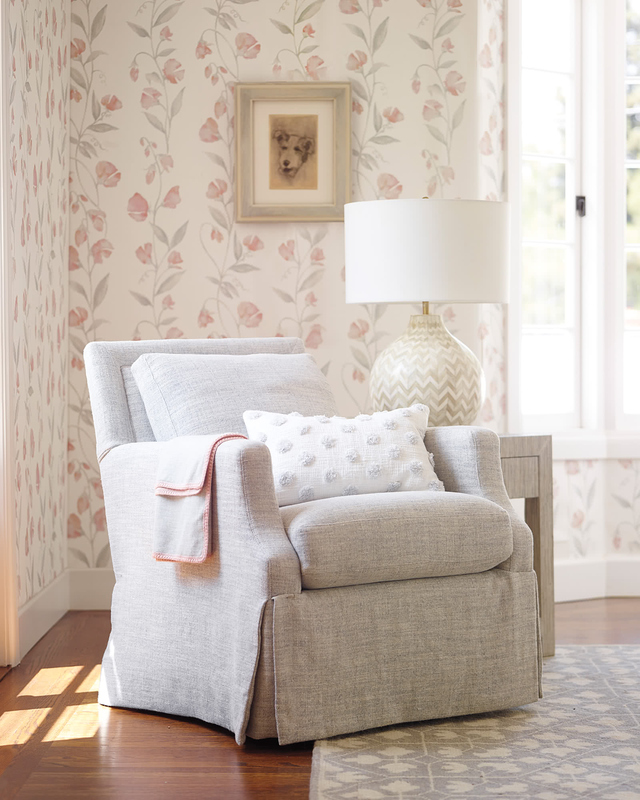 It’s a cloud-soft palette that makes a dreamy space for the little ones – but the look is certainly elevated enough for other rooms in the house. 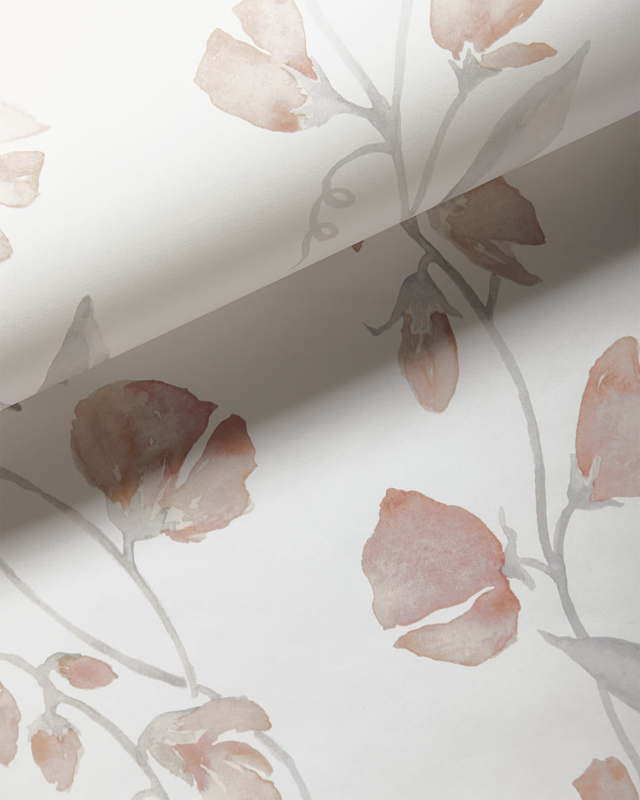 To hit all the right notes, we partnered with a celebrated wallpaper manufacturer known for both quality and artistry. We designed the pattern ourselves for a look you won’t find anywhere else. Each unpasted roll measures 18 in. wide x 33 ft. long and covers 56 sq. ft.
Pattern repeat: 34.5”, straight match. Digitally printed for exceptional depth and quality. 6” x 6” swatch available.